Aged 16+, unemployed and looking for work? Why not drop into our Information Day on Wednesday 7th February anytime from 10am – 1pm in Omagh Community House, 2 Drumragh Avenue, BT78 1DP and find out all about the one-to-one support and guidance on offer to help you find work. There will be further information on the free CSR, Forklift, First Aid, Childcare, Health and Social Care and IT training available, and advice and support to develop your CV, improve your interview skills and job search techniques. Support can also be offered to people working less than 16 hours per week who are looking to develop their skills. Aged 16-24? 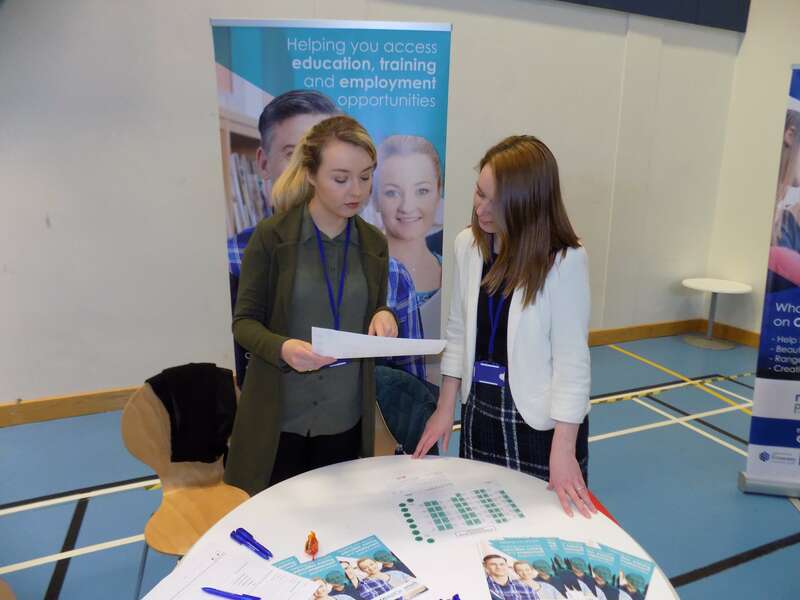 Come and find out about ApprenticeshipsNI, we deliver in partnership with People 1st in occupational areas such as Childcare, Health and Social Care, Retail, Warehousing and Storage and many more. An apprenticeship will not only help develop your skills but offers the chance to earn while you learn. We have already helped many people in the Omagh area and want to reach out to as many new people as possible. One of our past clients, Patricia, commented “Without the help and encouragement that I received from all in Network Personnel Omagh, I would never have had the confidence to make the move into employment”. For further information on the event contact Tania on 028 8283 9311 or email tania.akien@networkpersonnel.org.uk.